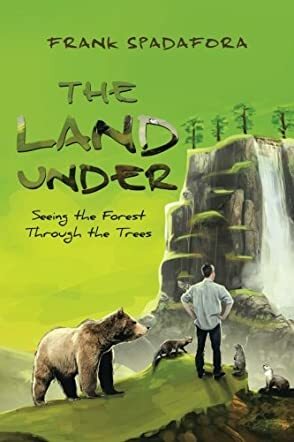 The Land Under: Seeing the Forest Through the Trees by Frank Spadafora is a charming middle-grade adventure story about a boy’s journey to an underground kingdom of talking animals. Unhappy because of his parents' financial difficulties, 13-year-old Frank finds himself summoned to The Land Under, a place that parallels our world but is only for animals. Fallen trees linked to forests above ground are damming up the mighty waterfall, Naveah, which powers the rivers that keep the three kingdoms of the underground civilization separated. If Frank doesn’t find a way to unblock the waterfall, the Northern forest kingdom will be overrun by savage animals from the jungle and safari kingdoms. It’s a race against time, the elements, and the balance of nature for an average boy with an extraordinary mission. Frank Spadafora writes an endearing narrative with a great message. Like a fairy tale in its intuitive simplicity, The Land Under grew before my eyes into a completely detailed world that felt so ordinary and real it almost didn’t seem to be fantasy. The young hero is an Everyman, someone any reader of any age can relate to, and the animals he comes to know—Ot, the snarky otter; Su, the fierce, but benevolent black bear; Dnik, the fisher cat; and Eb, the earnest woodchuck who summoned him—build a likable, perfect team around him. The story’s theme of “Be Kind To Us” is a powerful one, woven seamlessly and cleverly into the very names of the characters. A story that springs to life on its own terms and deserves to be read and reread. Great story!